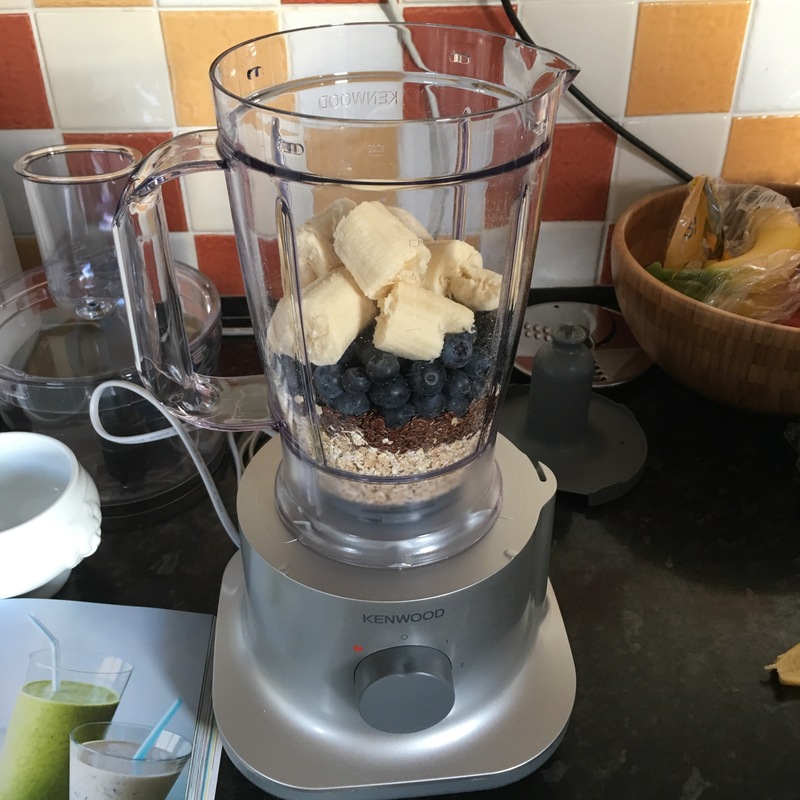 I still haven’t really started my regular gym sessions but me and the other half were so excited to try out our Kenwood blender we just couldn’t resist a smoothie. Coconut water! We learnt our lesson too. 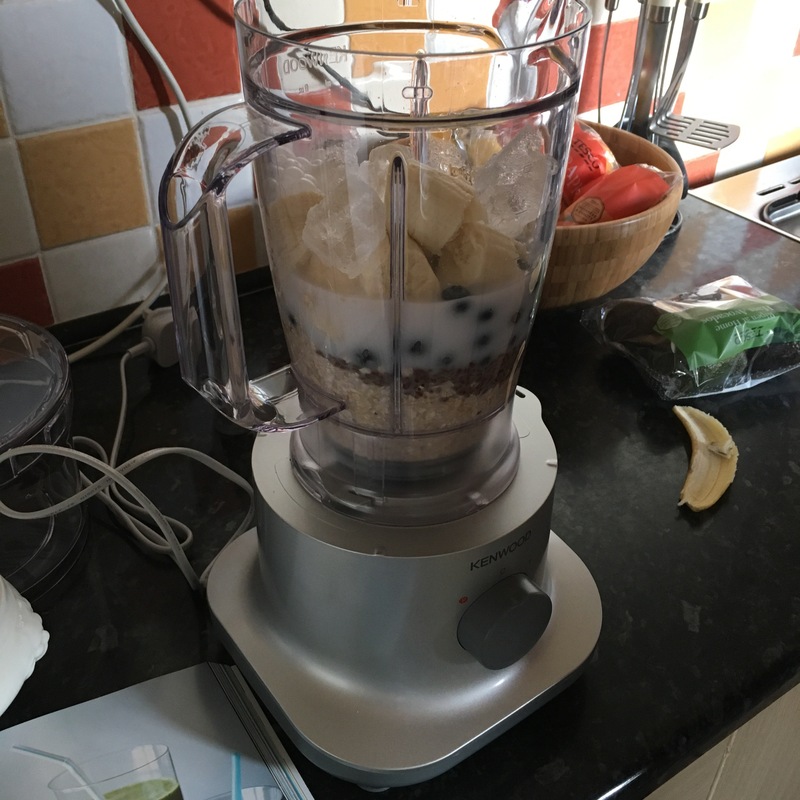 Not only should you pulse and blend, but continue to blend and blend hard as the oats can be chewy if you’re a bit excited and impatient like us! Final result and yum! Nice, quick and (fairly) straightforward. 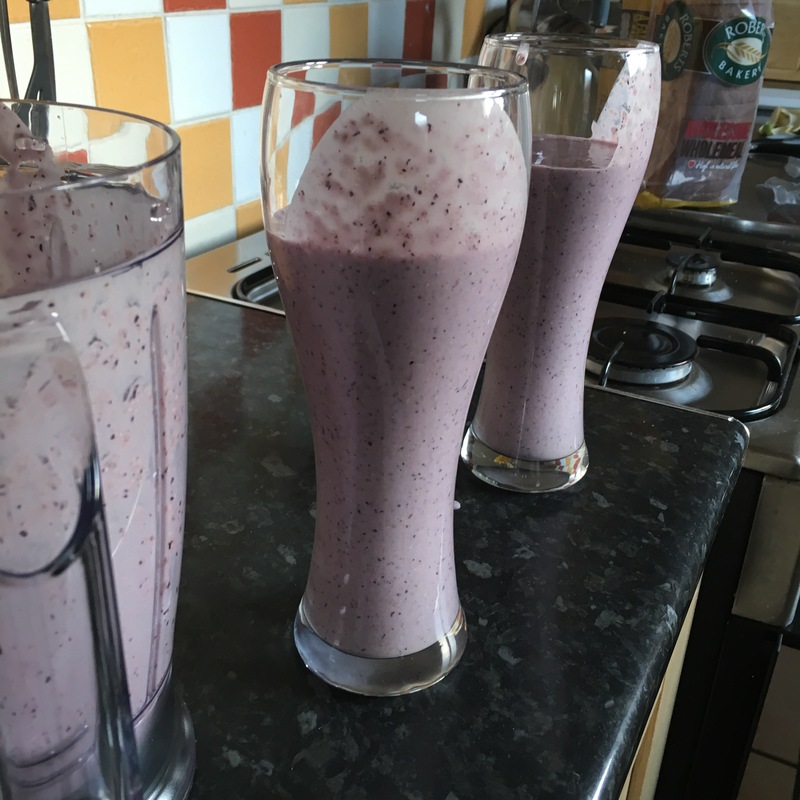 It tastes delicious and I can’t wait to try out some more of his smoothies. Oh and I left the protein out seeing as I’m not at the gym this week and still nibbling on a few leftover Christmas choccies..not so lean of me! Previous Post Lean In 15…Decisions!